BlueClaws Baseball Academy will host a Pitcher/Catcher Baseball Summer Camp at FirstEnergy Park on August 12th and 13th. The event will run from 7 pm - 8:30 pm each day. This two-day program is designed to teach players ages 8-14 how to build their individual skills as a pitcher or catcher. Pitchers will learn proper throwing mechanics to keep them healthy during the season, along with information on proper grips for fastball and off-speed pitches. This is a drill intensive camp that will give players a multitude of new ways to practice at home. Catchers will learn in order of responsibilities of being a catcher (receiving, blocking, throwing, tag plays, bunts and pop-ups) while learning the most specialized position on the field. Catchers camp has by far been our most popular camp. Camp will take place under the lights at FirstEnergy Park. 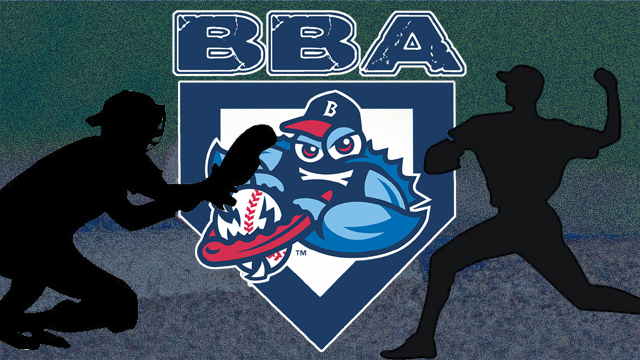 For more information about our programs visit our website at Blueclawsbaseballacademy.com, check us out on FACEBOOK at BlueClawsBaseballAcademy, or follow us on Twitter @BBA_Claws. Registration is $110. To sign up, please contact Joe Agnello at 732-901-7000 x209 or jagnello@blueclaws.com.